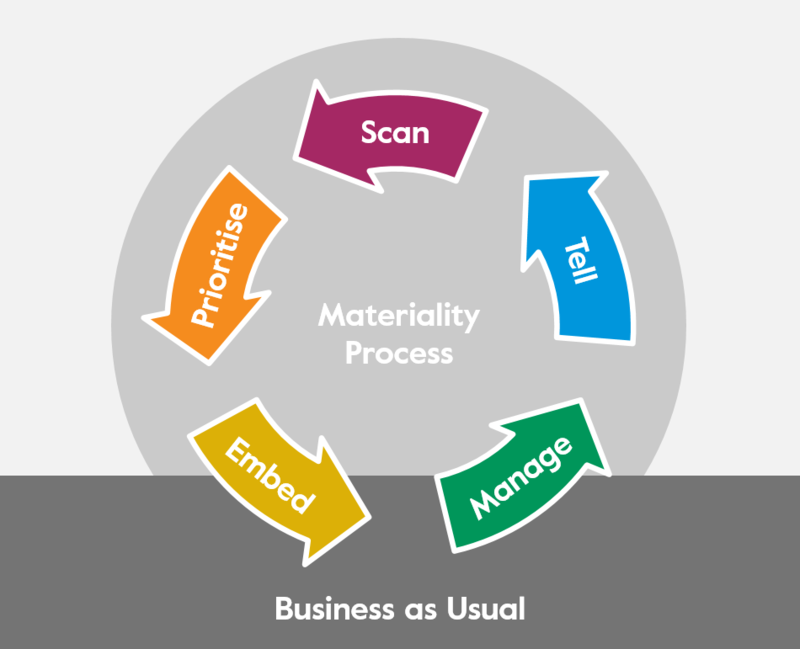 After some encouragement from the Sustainability specialist publisher DoShorts, I’ve written a book on materiality, and how materiality can be the lynch-pin that aligns your sustainability initiatives with your organisational strategy. It’s exciting for me and is my first published book, which I’m quite proud of! 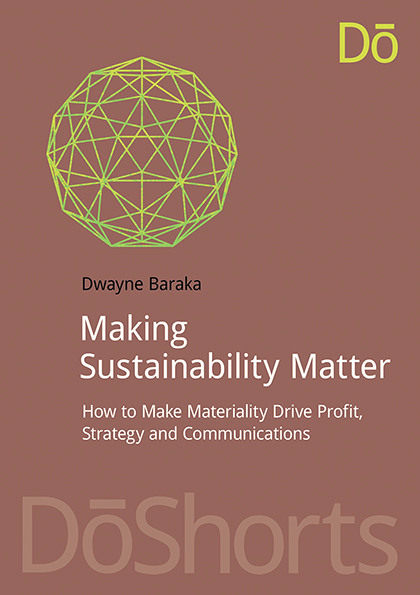 Of course if any of you want to buy a copy of the book, head to the DoShorts website (http://www.dosustainability.com/shop/making-sustainability-matter-how-to-make-materiality-drive-profit-strategy-and-communications-p-43.html) and be sure to get the 15% discount I negotiated for you using the code DB15. If done well, materiality can form the basis of better CSR communications and reports that generate trust and transparency. What’s more, most companies could be significantly more profitable by engaging with their most material sustainability issues. It draws on several previous posts from this blog, but also contains a formal framework for a materiality process, as follows. There will also be a one hour webinar held in conjunction with DoShorts on 20 March 2014, and although the webpage for that isn’t up yet, if you sign up for their newsletter, they’ll let you know. I’m also partnering with Mallen Baker and Toby Webb to deliver an online version of the training (through their platform Getting to Grips with CR). Unfortunately that contains lots of video of me, but with loads of tips for all you good folk who want to do materiality better. Will G4 Simplify Sustainability Reporting?